Spikenard is also called nardin, nard and muskroot. 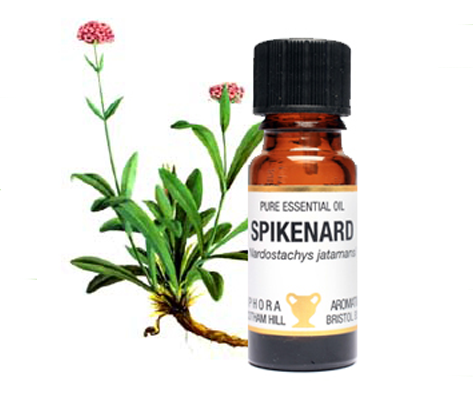 Nardostachy Jatamanshi is the botanical name of Spikenard. Spikenard oil was used in an ancient time as medicine and perfumes. Spikenard was used in the sweetened and spiced wine drink as the part of spice blend. The Spikenard Essential Oil is extracted from the spikenard plant by the process of steam distillation. It possesses calarene, coumarin, dihydroazulenes, nardol, valerianol, valeranone, aristolene, clalarenol, jatamanshinic acid, nardostachone and valeranal. The antibacterial property of Spikenard essential oil provides the skin care. It treats the conditions such as fungal infections on the skin and inside the body, dermatitis, itching, psoriasis, and food poisoning by fungus, patches on skin and deformation in the skin. It helps to cure the uterine infections. This oil helps to balance the oestrogen and progesterone hormone which helps to manage the women’s reproductive health. It helps to stimulate the uterine and ovarian functions and cures the menstrual problems. The antibacterial properties of this oil help to treat skin ailments caused by the infection of bacteria. It treats as well as prevents the bacteria growth. It helps to protect from bacterial infections in urinary bladder, Athlete’s foot, food poisoning, tetanus, urethra, kidney, cholera and septic. The fragrance of Spikenard essential oil is earthy and mossy which provides pleasant to the mind and nostrils. It calms the mind and nerves which provides the comfortable feeling. It is also used as a deodorant. As it is not harsh, it does not provide allergies or headaches. It helps to prevent the growth of bacteria in the body. It can be applied to the minor wounds and cuts which help to prevent from spread of bacteria. The Spikenard is rich in octacosanol. The spikenard herb root powder can be used as an alternative to the essential oil version. Inflammation is harmful for the digestive, nervous and respiratory systems. It leads to allergic diseases such as arthritis, asthma, Crohn’s disease, cancer, diabetes, high cholesterol level, Alzheimer’s disease, cardiovascular disease, high blood pressure and Parkinson’s disease. The research made in 2010 at the School of Oriental Medicine in South Korea reports that the inflammation of pancreas was lessened by the spikenard treatment. The spikenard helps to increase the good cholesterol and decrease the bad cholesterol. Though it is not claimed but the animal studied provided the positive results. Spikenard helps to boost the immune system. It also helps to reduce the blood pressure. High blood pressure for long term increases the chances of heart attack, stroke and diabetes. The spikenard helps to widen the arteries, reduces the oxidative stress with the antioxidant properties and reduces the emotional stress. The spikenard helps to treat heart palpitations and restlessness. It can be used while bathing, spraying or inhaled. The people with the trauma, hot flashes, low moods and convulsions can use the spikenard oil because it does not have any side effects. Spikenard oil can treat the problems related to the menopause and puberty. It enhances smooth functioning and balances the hormones. It enhances the hair growth and retains the natural color. The study shows that the spikenard essential oil showed positive results in the hair growth. The spikenard extract reduces the time to grow back the hair by 30 percent on the tested rats. Laxative are very harsh on the excretory system and digestive system which washes the mucus membrane and dries out the inner walls intestine, digestive and excretory tracts. It treats the inflammation in the nervous and digestive system, convulsions, irritations, stress, depression, panic, anger and anxiety. It also helps to sedate the problems of cardiac such as restlessness and abnormal palpitations. The insomnia patients are also helped by offering the healthy sleep. It helps to clean the ovaries and uterus and the secretion of progesterone and estrogen is also stimulated. The reproductive abilities of these important organs are maintained. The Traditional and Ayurvedic medicine uses it as a stimulant to treat painful menstruation, clean uterus, promote menstruation and reduce the uterus inflammation. It helps to eliminate the uncomfortable bloating and PMS cramps. It also helps to treat impotence. The uterus and ovaries are stimulated and helps to maintain the health and reproductive capabilities of these organs by the secretion of progesterone and estrogen. The spikenard essential oil helps to reduce stress and anxiety without any side effects. 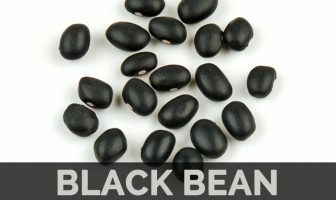 The antioxidant properties provide the anti-stress effects. The spikenard essential oil helps to deal with palpitation, sleep disruption, panic and disruption. By either diffusing or massaging, it helps to relax and provides a good sleep. Insomnia is caused due to the anxiety, stress, sugar, pain, lack of physical activity, hormonal changes, overuse of stimulants, alcohol, restless leg syndrome and sleep apena. Insomnia patients could be helped due to its sedative and laxative properties. It also helps to treat fever, varicose veins, allergies, hemorrhoids and pain of angina. It assists in hormone and enzyme secretion, blood and lymph circulation, cells regeneration healing the wounds. In aromatherapy, the spikenard essential oil is used for mental peace, truthfulness and harmony. For the good night’s sleep: A drop of spikenard essential oil should be applied before bed to the temples or the base of the feet. Calm mind: Diffuse the spikenard essential oil with the added aromatic bonus which helps to smell great. Inhalation: It could be inhaled from the hands. A drop of spikenard essential oil should be applied to the palm of the hands and gently rub them together. Then inhale deeply by cup your hands on the face. Stress: A teaspoon of carrier oil should be diluted with a drop of spikenard oil and with this massage to the temples and forehead. Relaxation: Few drops should be added to the bath for the relaxing experience. Aromatherapy: 5 drops of spikenard essential oil should be diffused or 1-2 drops should be inhaled. Calm mind and relax body: 2 drops of spikenard oil should be inhaled or 5 drops of spikenard essential oil should be added to the oil burner or diffuser. Massage: 1 teaspoon of carrier oil should be added to the 5 drops of spikenard oil which helps to relieve the sore muscles, menstrual cramps, headaches and sleeping difficulties. Calming bath: Warm water should be added 2-4 drops of spikenard essential oil which helps to deal with sleeping difficulties and relax the mind. To relieve respiratory problems: The mixture of 2 drops of spikenard oil and equal parts of carrier oil should be rubbed to the chest. In another way, 10-20 drops of spikenard oil could be added to the Homemade Vapor Rub. Treat heart palpitation or lower blood pressure: 2 drops of spikenard oil should be massaged to the feet or a warm foot bath should be made. As an antiseptic: 1-2 drops of spikenard essential oil should be rubbed on the cuts or wounds twice regularly. To enhance hair growth: Homemade Conditioner recipe should be added 5-10 drops of spikenard essential oil. Topical usage: The spikenard essential oil could be applied directly to the skin or it could be mixed with the carrier oils such as jojoba oil or coconut oil. Internal usage: High quality oil brands should be used. A drop of spikenard essential oil should be added to the water or it should be mixed with a smoothie. To boost immune system: The high quality spikenard oil should be added to the Immune-Boosting Smoothie Recipe. The spikenard essential oil should be diluted with the suitable carrier oil. The most popular carrier oils are coconut oil, jojoba and sweet almond. After the dilution of spikenard essential oil, one should check on the small patch of the skin to see the adverse reactions. The pregnant women and breast feeding women should consult the medical professional before using the spikenard essential oil.